Content related to the education session, Counterspeak: Free Speech and Legislative Mayhem[field_which_institute]. Content related to the education session, Counterspeak: Open Discussion and Combating Censorship with Chris Finan[field_which_institute]. Content related to the education session, Why We Shouldn't Censor Hate Speech featuring Nadine Strossen[field_which_institute]. Counterspeak is a free speech podcast hosted by Sydney Jarrard, ABA's Content Director; Dave Grogan, ABA's Director of ABFE, Advocacy and Public Policy; and Maria Peroni, ABA's Advocacy and Public Policy Coordinator. In this episode, ABFE talks to Nadine Strossen, former president of the ACLU and author of Hate: Why We Should Resist It With Free Speech, Not Censorship, about her book and experiences as a defender of free speech. 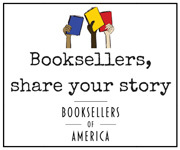 The views expressed in this podcast are not necessarily that of the American Booksellers Association or the American Booksellers for Free Expression. Content related to the education session, Counterspeak: Who Are We? A Short Intro[field_which_institute]. In this introductory episode, Dave explains what Counterspeak is all about. Content related to the education session, ABFE Presents: Hot-Button Issues in Kids’ Books[field_which_institute]. Booksellers face special free speech problems in selling children’s books. Parents complain about books that are “inappropriate” for their children based on age or socio-economic background, and there is also growing sensitivity in some communities as to how they are presented in kids’ books. How should booksellers respond? Content related to the education session, ABFE Presents: The Tattered Cover Free Speech Training Method[field_which_institute]. Free speech problems confront booksellers much more frequently than you might think, and it is critically important that you and your staff are prepared to deal with them before they occur. Join Matthew Miller of The Tattered Cover Book Store and Chris Finan, director of the American Booksellers for Free Expression, for an interactive session exemplifying the store's training session, which helps new staff members anticipate and respond to common free speech emergencies.